My attempt at chocolate covered pretzels was interrupted by Matilda's crying. 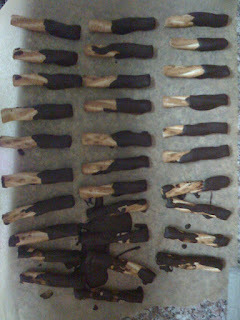 You can see that they started out very neat before I ended up pouring the chocolate on. Needless to say, they were all yummy.